Blog — Twila & Co. Ya'll, this love story is one for the books, let me tell you. Let's start back at the beginning. I've known the Erwin family since I could barely walk. Our families grew up living in the same neighborhood, and when we started school, we all went to the local catholic school of Montfort Academy. Which is where the Moran family went too. We all grew up going to Montfort, until it closed down and Holy Cross Academy opened in its place. It was a well known fact that Mrs. Moran and Mrs. Erwin were BFFs. They were awesome and so much fun to have around as room moms, neighbors and role models. So many of my childhood memories involved these families. Unfortunately, Holy Cross Academy only goes until eight grade, so for high school we went our separate ways. And as most do at that age and forward, we made new friends; we had life experiences; we moved in different directions with our lives. But timing is certainly everything, and God has a funny way of revealing his plans. With Facebook and living in Fredericksburg, I've been able to keep up with everyone. So when I first saw some photos of Richard and Laura emerge last year after all of these years later, I couldn't help but giggle a little bit with Mrs. Moran and Mrs. Erwin in mind. I mean, isn't it all of our dreams that we have kids around the same time as our friends, our kids grow up with our best friend's kids, and then they fall in love and get married?! Not to mention, reconnecting with a childhood friend years later only to find a spark?! I kept watching photo after photo pop up on social media, and kept smiling and hoping that this was really something...and sure enough, it was. And here we are a year later and they're married! 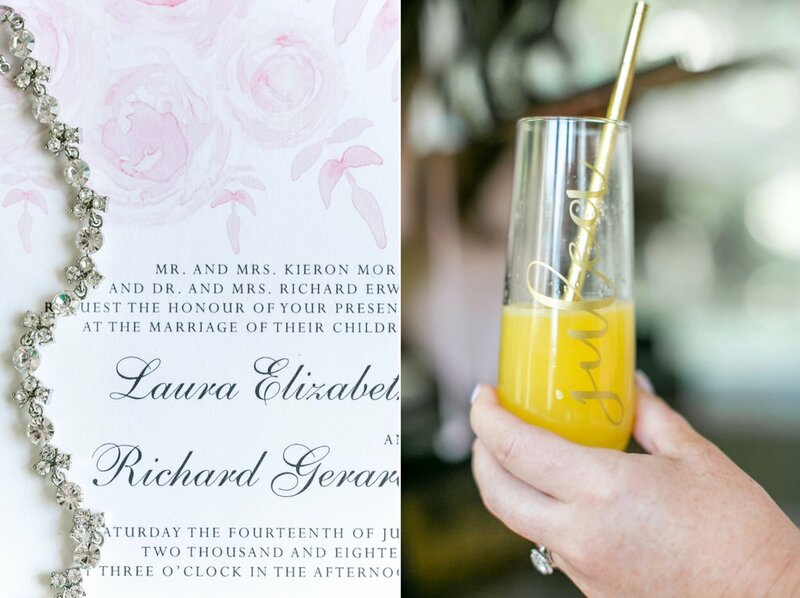 When Laura emailed me about doing her wedding invitations, I was ecstatic! And when we got to sit down and meet to chat about her vision, I was just so excited to be a small part of their beautiful and special day. She was interested in watercolor florals with a lot of soft pinks, so I was able to practice some of my floral skills and was so happy with how they turned out. The suite turned out so elegant and clean; and for florals, definitely on the simple side, which I love. 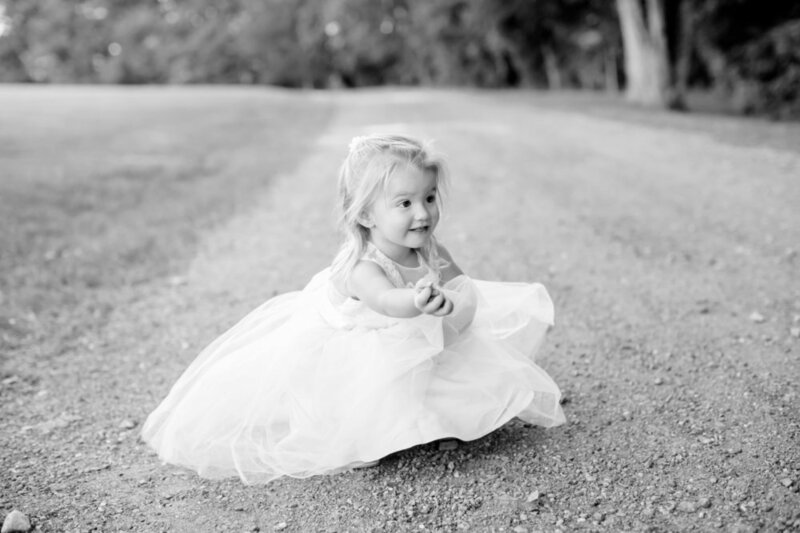 The gorgeous photos below are by Carley Rehberg Photography and they capture the day so well! I just love the contrast of that light pink and grey against the beautiful evergreen. And those ring shots! 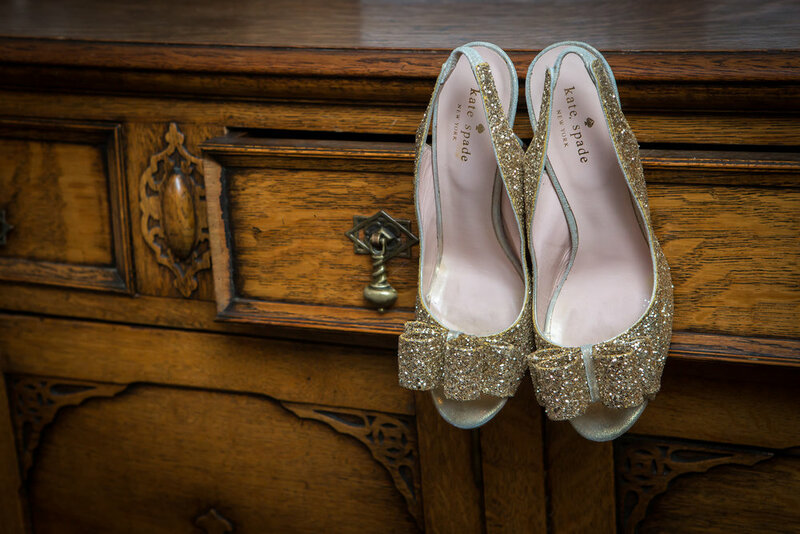 So, Laura, thank you so much for letting me be a part of your special day! I am beyond happy for you and Richard and wish ya'll the absolute best! Invitations & Watercolor Map | Twila & Co.
After two weeks of road tripping and enjoying the mountains of Colorado, I'm finally back in Virginia and back at my desk! And boy does it feel good. I am missing Joe like crazy, but being the home body that I tend to be, it feels good to be back in my little 'safe haven' I call my office. 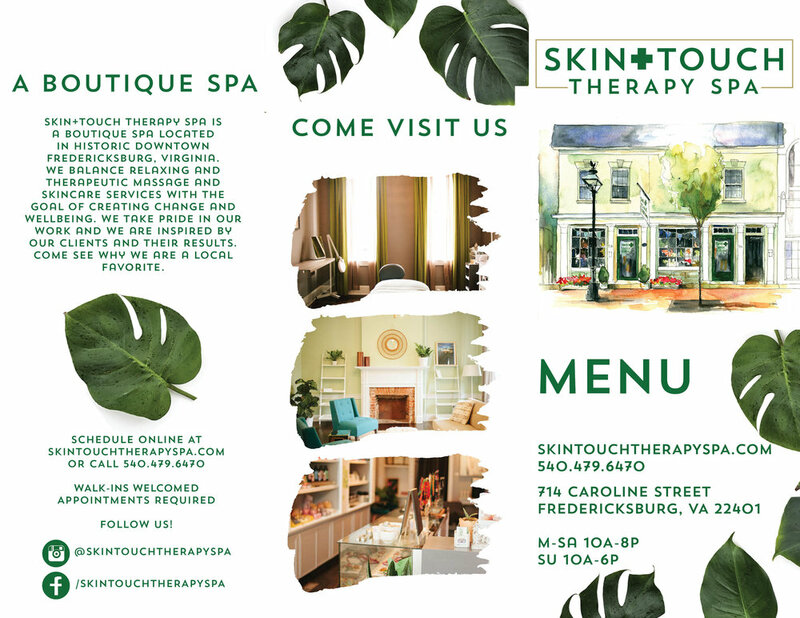 This morning I wanted to share a new brand that I worked on over the summer with a local Fredericksburg spa: Skin Touch Therapy Spa. Brian, the owner of the spa, is always so much fun to work with. He's got such a good sense of style and a great eye for design that I always know I'll just love the pieces that we create together. So I went to work! And the finished product did not disappoint. I love how clean it is, the green colors, and we added some accents of watercolor and botanical leaves which just really brought a soothing vibe to the whole thing. So without further ado, check out his branding below! 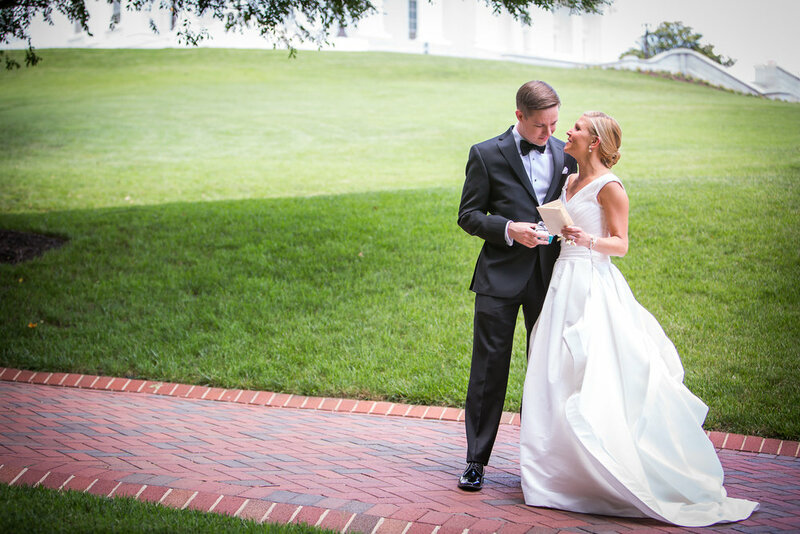 Today's feature wedding is totally swoon-worthy! Not trying to make this about me, but since Hope Taylor is also my photographer, seeing these photos makes me just SO excited for my wedding. She truly does an incredible job. 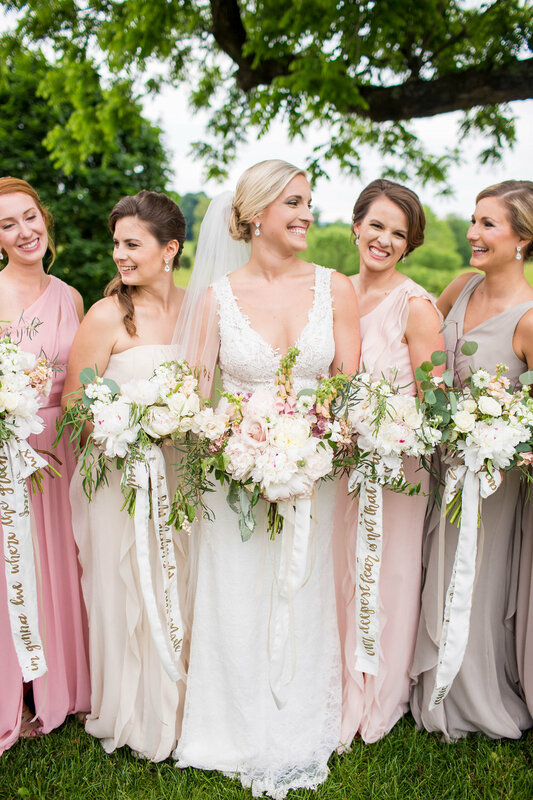 I mean, this wedding is just dreamy: the beautiful background, the luscious florals, the silk ribbons, and gorgeous color palette...what's not to love? 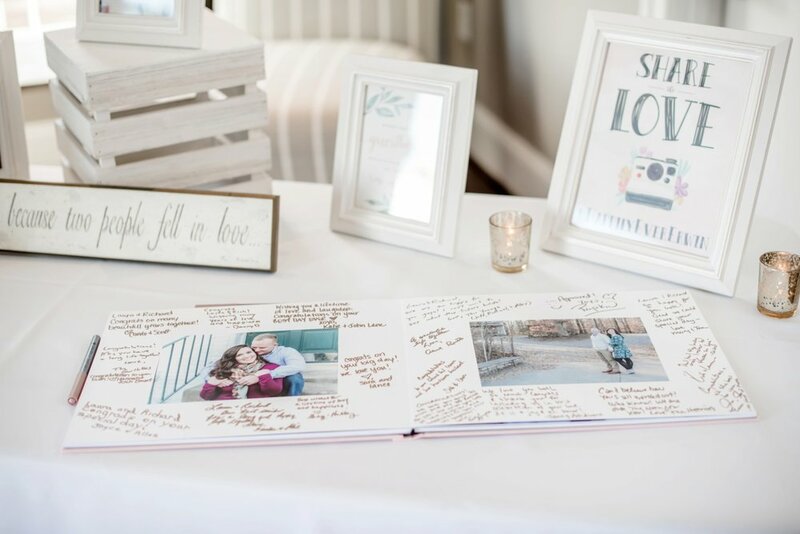 It was such a pleasure working with Katie of Social Graces Events on her invitations. And when she told me she had a custom watercolor crest in mind, I was MORE than happy to oblige. Working with pinks and champagnes and florals was so much fun. Everything look so professional, yet had personal and unique touches that I just loved. A huge thank you to Katie for letting me be a part of her special day! It was an honor! 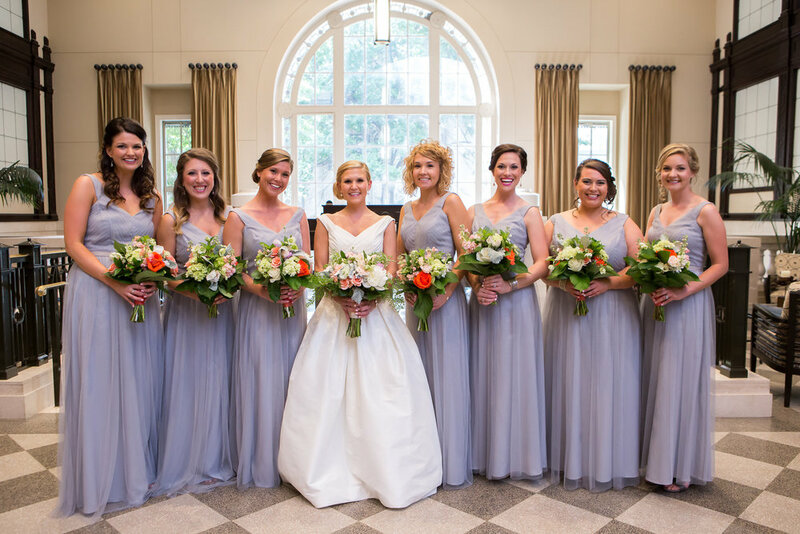 Stationery - Twila & Co.
Today's June wedding is a Richmond bride who's also a good friend of mine, Melanie! 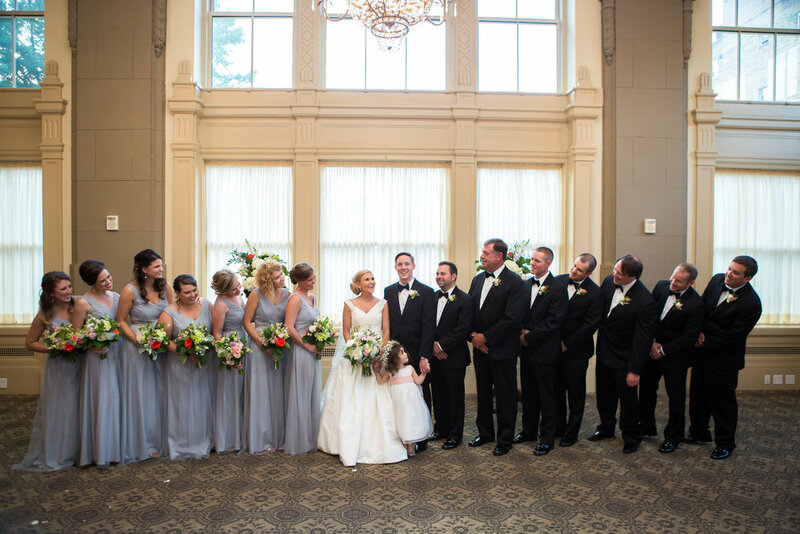 Her and Tyler got married at the John Marshall Ballrooms and it was a gorgeous, elegant affair! I loved working with them on their invitations because Melanie was decisive and classic, and I loved her style. 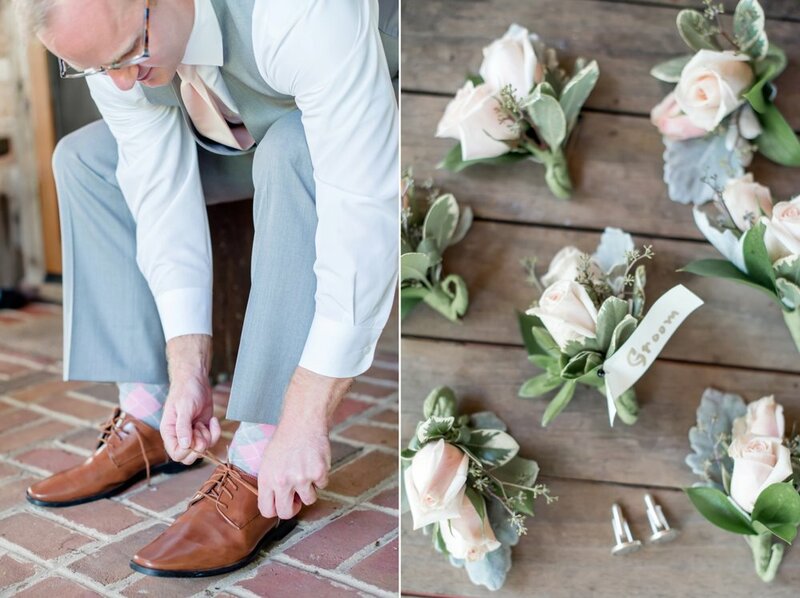 A classic monogram and laurel couple with greys and pale pinks. It's a stunning invitation. Not only did I get to do her paper goods, but I also had the honor of being a bridesmaid! It was such an honor to be a part of her special day. 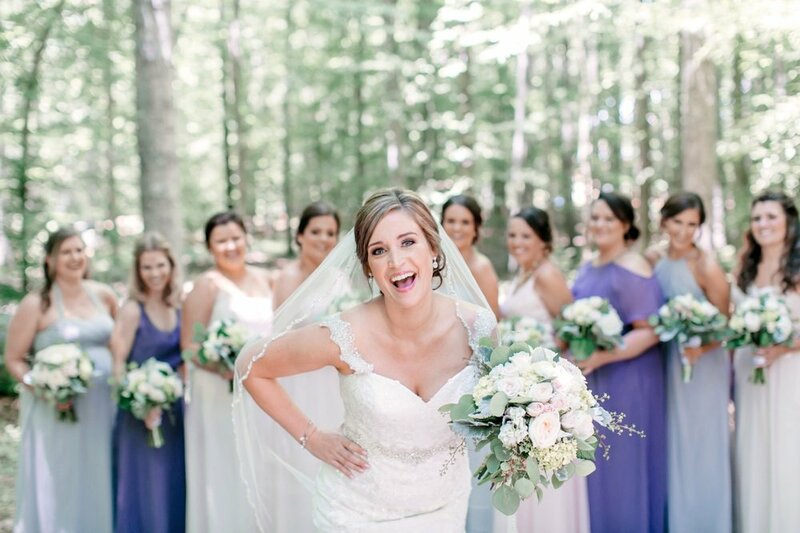 The photos turned out just beautifully and show just how happy the couple was to be married surrounded by their friends and family. 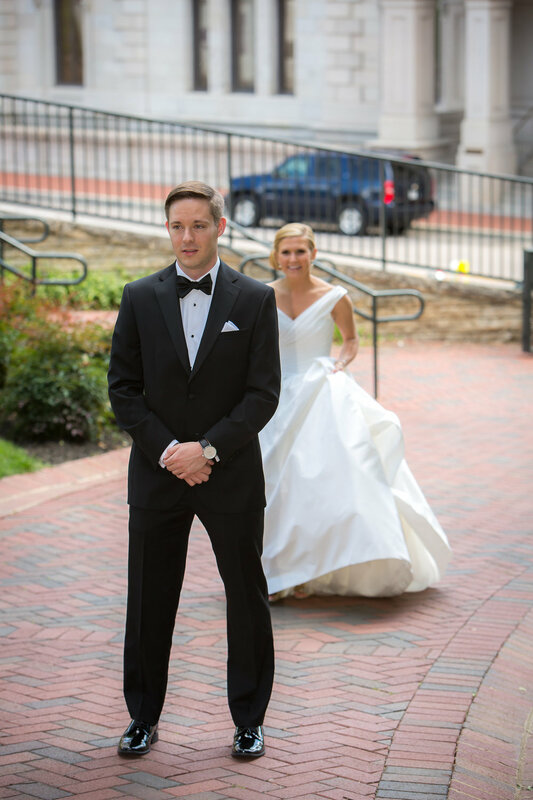 And wait til you see the stunning photos of them in front of the Virginia State Capitol! The weather couldn't have been more perfect and her white dress is beautiful on that colorful background. 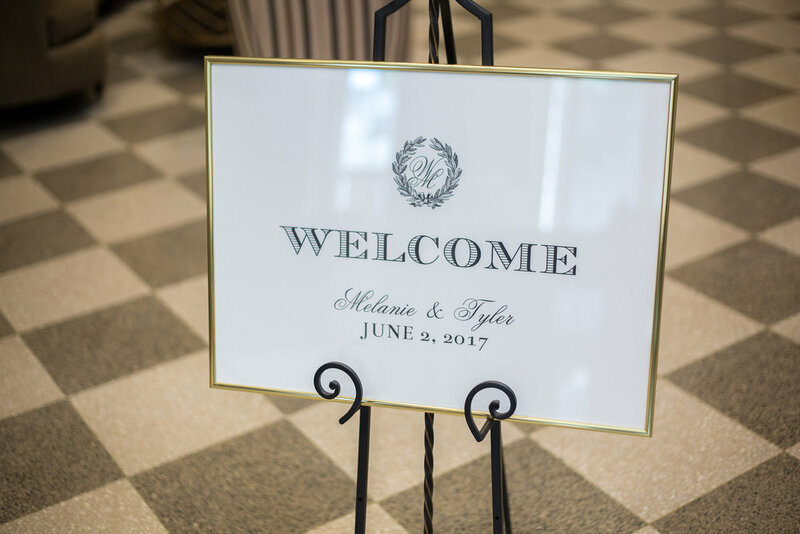 Thanks for including me on your special day, Melanie & Tyler! Here's to a lifetime of happiness! 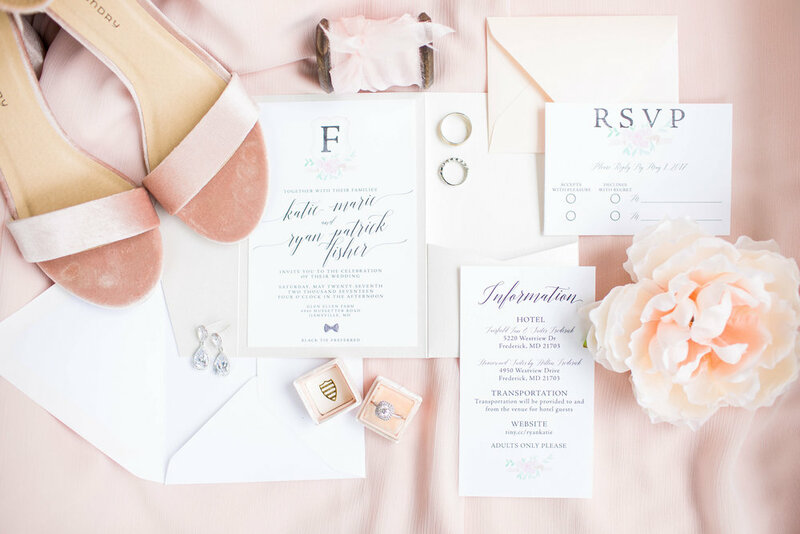 Invitations & Paper Goods | Twila & Co. 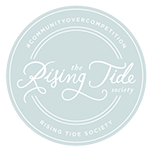 I feel like I'm finally catching up on my blogs and featuring some of my amazing clients. This year, I've felt so blessed to have worked with so many amazing people and their small businesses. I love branding because I get to help people really take their business to the next level of making it feeling like its theirs. 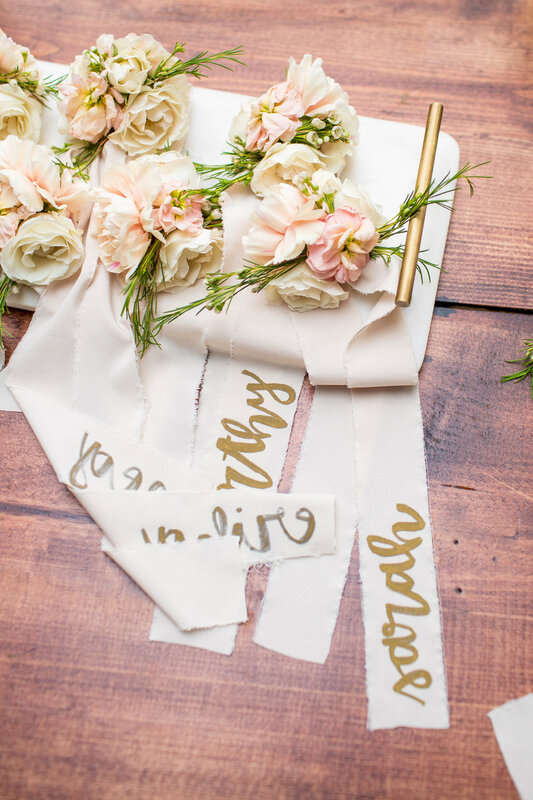 This morning, I'm sharing the brand I worked on with Amaia from AP Stecker Events and I'm so excited! This was such a fun brand to design. She had visions of constellations and stars with blues the same as the shades as the sky. I got to work with constellations and the night sky to develop this brand and I know I'm biased, but I think it turned out so cool. If you head on over to the website, one of my favorite aspects is the night sky video when you arrive on the home page. 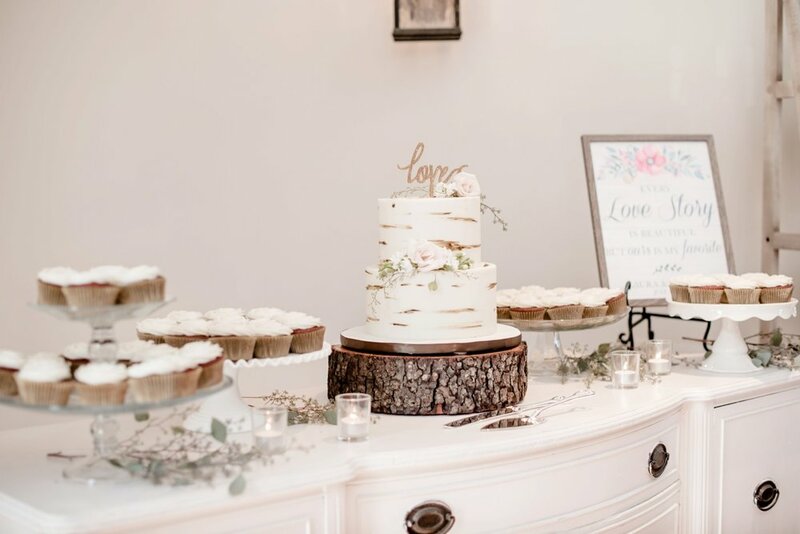 Amaia's style and brand incorporated so many fun elements and stayed true to herself and her vision for her event planning business. She was such a pleasure to work with and I'm so excited to finally share it with you!